This line bases on the hot press approach and it resolves personnel dependency. 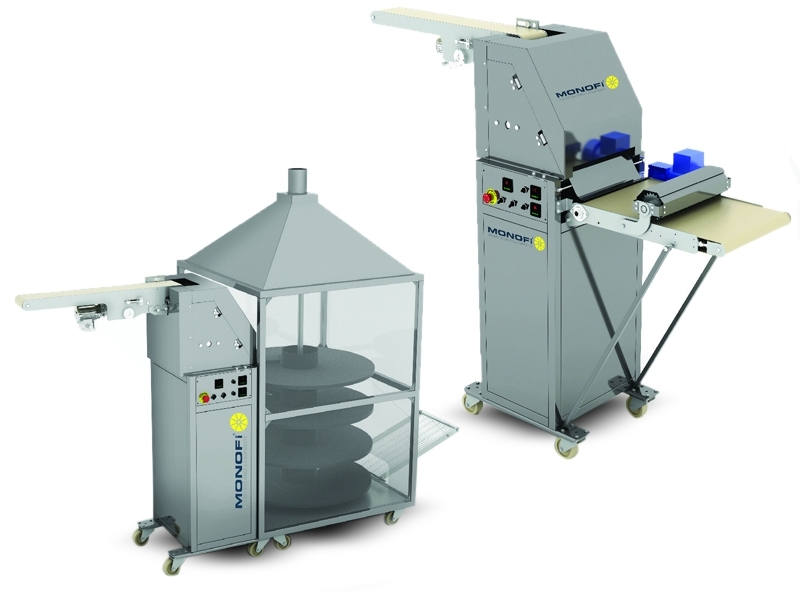 Full-auto-mated production may be performed by rear machine which may be placed into the entrance and it may be used manually for sınailer plants. Heat resistance lowqer and upper plates are heated sensitively by high capacity hearters. No adhesion occurs because plate surfaces were covered by teflon. Press is completely mechanical and balance may be adjusted easily through adjustment handles. Adjustale speed, stainless structure, photocell feeding, hot press are included in Standard equipment. Our oven was manufactured as 4 stage and materail of floor is tool steel. The system may be operated with electricity or gas and it is practical and smooth. The stainless cooling Belt provides to transfer the product convertiently until packaging.